Exterior of Dorje Pamo Monastery, 2016. Photo courtesy of Ven. Chantal Carrerot. 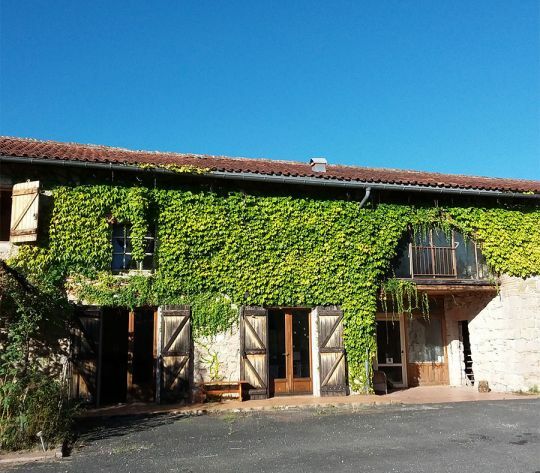 Monastère Dorje Pamo is a new probationary nunnery in the South of France, situated close to FPMT centers Institut Vajra Yogini and Nalanda Monastery. Monastère Dorje Pamo is modeled on the previous Dorje Pamo, which was founded by Lama Yeshe in the early ’80s and was the first facility for Western FPMT nuns. The original Dorje Pamo was housed in a large building belonging to Institut Vajra Yogini and was supported by a group of up to a dozen young nuns of diverse nationalities. After a few years, the building was returned to Institut Vajra Yogini and the community of nuns dissolved. Many of the nuns were called upon to help with the management and teaching in various FPMT centers. 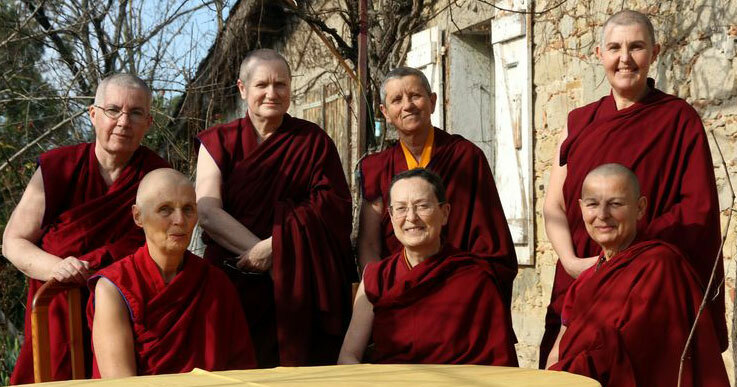 FPMT nuns living near the future Monastère Dorje Pamo, France, February 2017. Photo by Véronique Alber Latour. “We are grateful to the kind benefactors who have donated enough funds to start the first round of renovations, which will begin in March 2018. This phase involves renovating the nuns quarters and creating a temple. The first nuns are expected to move in at the end of summer. However, there is still a lot to do and we are still looking for funding to complete the gompa and the library next to it.